Oral contraceptives are widely used among many women of reproductive age, and are one of the most commonly prescribed drugs in developed countries. Typically, oral contraceptive pills (OCP’s) are a combination of both estrogen and progestin. Estrogen inhibits ovulation and progestin thickens the cervical mucous, making it more difficult for sperm to swim through, and it also alters the uterine lining so it is less conducive to implantation. Together, these hormones also suppress the pituitary’s production of FSH and LH, which inhibits ovulation. Typically, oral contraceptives are around 97-99% effective at preventing pregnancy, and is therefore a reliable and easy to use method of contraception. Aside from being an effective contraceptive option, OCP’s have many benefits for many people including reducing symptoms of dysmenorrhea (painful periods), acne and PMS, and can reduce the risk of endometrial, ovarian and colorectal cancer. Consequently, there are also negative side effects women may experience such as headaches, mood swings, weight gain, breast tenderness, bloating, nausea, decreased libido, blood clots and increased risk for breast and cervical cancer. Also, in many cases women with an underlying hormonal imbalance often mask their condition with the birth control pill, and when they decide to come off of it their symptoms come back even worse than before, or they may not have a natural menstrual cycle for months to years. Folic Acid – the synthetic form of folate, which is a B vitamin that is required for DNA synthesis and cell division. It is extremely important in pregnancy for neural tube development, which gives rise to the brain and spinal cord. After stopping OCP, it takes around 3 months for folate levels to return to normal, so it is important for women to supplement with a high quality prenatal vitamin containing folic acid if the plan to conceive within 3 months after stopping their birth control pill. Vitamin B2 (Riboflavin) – This B vitamin is very involved in cellular metabolism, energy production and growth. It is important for carbohydrate, fat and protein metabolism. Additionally, vitamin B2 deficiency has been associated with headaches and migraines which are common symptoms of the birth control pill. Vitamin B6 (Pyridoxine) – Involved in over 100 enzymatic reaction in the body, mainly in protein metabolism. It is also necessary for the conversion of tryptophan to serotonin, which is a neurotransmitter that is important in regulating mood. Deficiency of vitamin B6 has been associated with blood clotting. Vitamin B12 (Cobalamin) – Involved in cellular metabolism, energy production and DNA synthesis. Humans rely on dietary intake of vitamin B12, which is only present in sufficient amounts from animal sources or supplementation. Often times, those who do not consume animal protein, such as individuals following a vegetarian or vegan diet will be deficient in vitamin B12 and may experience symptoms such as low energy or fatigue as a result. A deficiency in either folate or vitamin B12 can lead to a condition known as megaloblastic anemia, in which the body products immature, large red blood cells. Vitamin C – Important for the synthesis of collagen and carnitine, and acts as an antioxidant against free radicals in the body. Estrogen in the birth control pill has been shown to increase the rate of metabolism of vitamin C, therefore leading to increased loss through the urine. Vitamin E – An antioxidant, protects cell membranes. Upregulates prostacyclin, which acts as a vasodilator and inhibits platelet aggregation. Therefore, with a deficiency in vitamin E platelets can aggregate together more easily, leading to higher risk of blood clots. Zinc – important for a healthy immune system, metabolism of genetic material, signal transduction, wound healing and reproductive function. OCP’s decrease zinc’s absorption or increase it’s excretion, leading to a deficiency. Selenium – very important for the functioning of the thyroid gland. It is a cofactor that helps convert the inactive form of thyroid hormone (T4) to active T3, and therefore a deficiency can lead to symptoms of hypothyroidism. Selenium is also beneficial in autoimmune thyroid disease, such as Hashimoto’s thyroiditis as it decreases thyroid antibodies. Selenium also plays a role in preventing cancer and cardiovascular disease. Magnesium – important for energy production as ATP (the main source of cellular energy) must be bound to a magnesium molecule in order to be active. Additionally, a magnesium deficiency can lead to symptoms such as muscle cramping, anxiety, migraines and hypertension, and may also be associated with blood clotting. Oral contraceptive pills have also been associated with intestinal inflammation and an increased risk of inflammatory bowel disease, such as Crohn’s and Ulcerative Colitis. This risk is increased with a longer duration of OCP use, and decreases after stopping the pill. This mechanism is still fairly unclear, but it may be related to the effects of estrogen on the mucosal lining of the gastrointestinal tract, leading to a compromised intestinal barrier. This can lead to symptoms such as gas and bloating, but may also contribute to malabsorption of nutrients through the intestinal wall, leading to nutrient deficiencies. 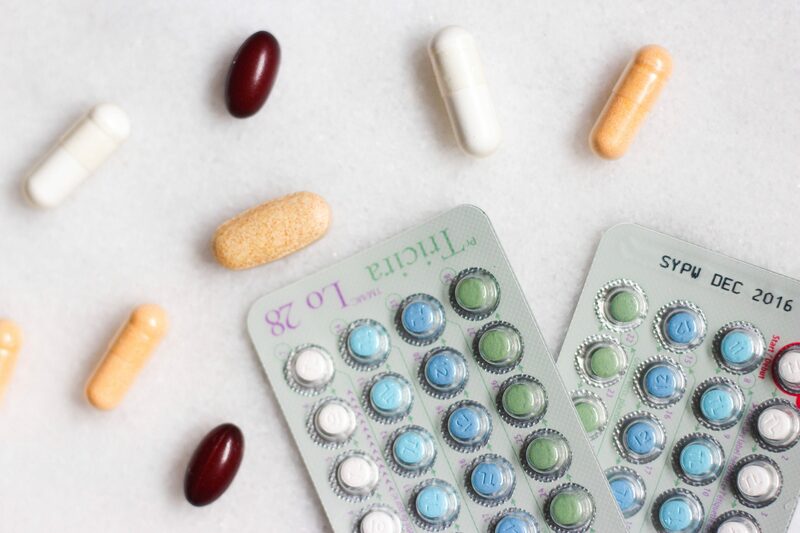 Although oral contraceptive pills are very effective, and are often one of the most convenient methods of birth control for many women, it is important to consider the negative side effects that may be associated with them. 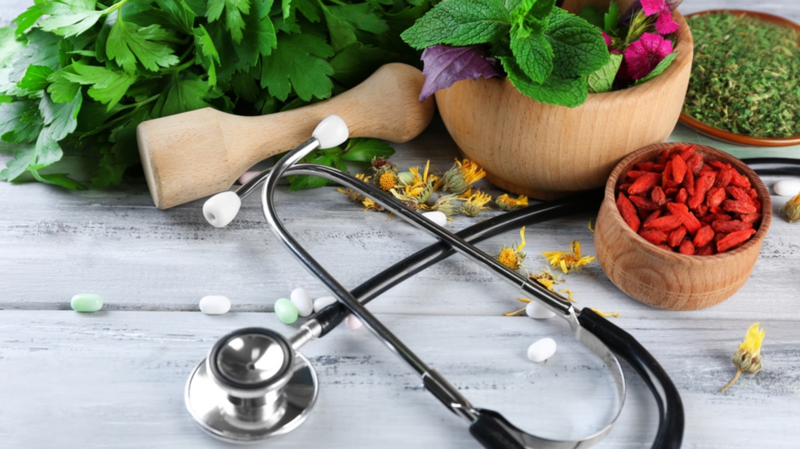 If you are using birth control as a contraceptive option, talk to your Naturopathic Doctor about supplementing with high quality vitamins and minerals to prevent nutrient depletion. However, if you have been prescribed birth control to ameliorate symptoms such as PMS, acne or irregular periods you may want to have a discussion around optimizing and balancing your hormones in a way that addresses the root cause, and doesn’t just mask the symptoms. Talk to your doctors before making any changes to your daily supplement or medication routines. Khalili, Hamed. “Risk of Inflammatory Bowel Disease with Oral Contraceptives and Menopausal Hormone Therapy: Current Evidence and Future Directions.” Drug Safety, vol. 39, no. 3, 2015, pp. 193–197. Palmery, M, et al. “Oral Contraceptives and Changes in Nutritional Requirements.” Eur Rev Med Pharmacol Sci. , vol. 17, no. 13, July 2013, pp. 1804–1813.